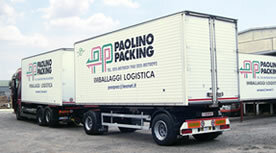 Paolino Packing has worked in the packing and logistic industry for over 60 years. Working closely with our customers with an efficient work force, a spacious warehouse and vehicle fleet, we are able to deliver solutions that are more efficient and cost effective. Our company designs and manufactures timber pallets, boxes, crates and industrial packaging. We have the expertise of packing millions of products made in Italy, which we have been entrusted to pack and distribute safely all over the world. Know how, experience and flexibility allow us to offer our customers a complete, customised service, using the most adequate transport and experienced work force. The numerous services we offer, include designing packaging solutions and supplying boxes, crates and pallets. 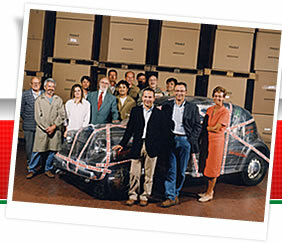 Our packaging solutions are custom made according to our customers' needs and the weight of the product. Paolino Packing uses the best resources to guarantee safety, reliability and at the same time meet our customer's deadlines and environmental regulations. The wood mill is ready to meet every customer's request to produce innovative solutions in wooden packaging. Our staff is at your disposal to oversee the goods that need to be shipped and advise you on the most appropriate packaging solution. 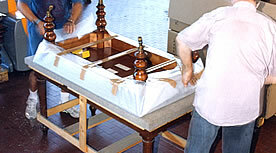 Our Picking service is especially directed at the wine, gift, solar panel and interior design industries. We design industrial packaging that guarantees that the products shipped arrive in perfect condition and comply with current regulations. With the aim to have a low environmental impact and safeguard our customer's goods, we use timber that is FITOK and ISPM 15/FAO certified. Our timber conforms with the international standard ISPM-15: our timber packaging is heat treated and therefore IPC/FAO certified.